CraftygasheadZo: WOYWW 258 - My birthday edition! Yep it's my 39th birthday today, so I wanted to share it with you all. I wonder what this last year of my thirties will bring?! I've already been out for cake and coffee with my mum - we went to Farrington Farm Shop which is 5 mins drive away. I had this gorgeous piece of White Chocolate and Mars Bar cheesecake to go with my coffee! It was very yummy. Though not a patch on the cakes that LLJ etc make at the crop I must add!! 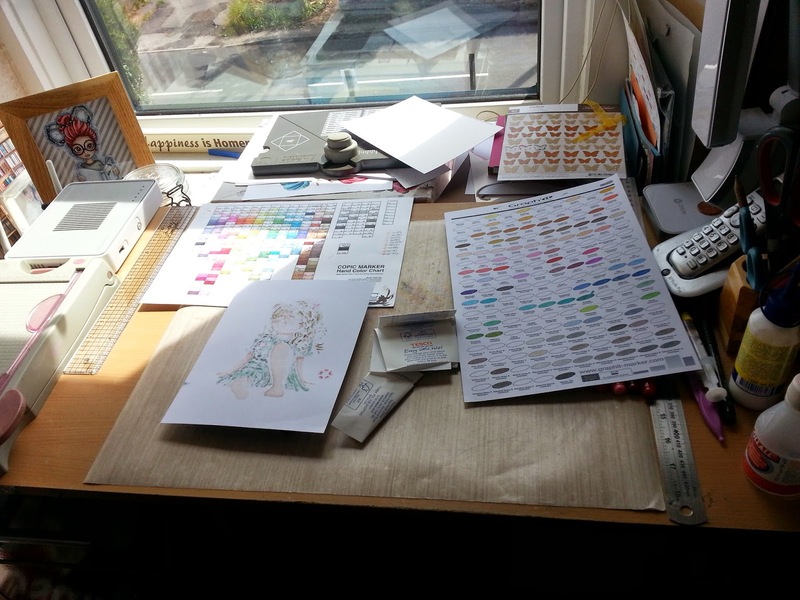 So right side - there are more pens as I've added to my Graph It collection and there's images awaiting colouring. Window side - More colouring and some Tesco's receipts - me and mum do our shopping together and use that scan gadget thing as we go. SO I have to add up our shopping at home to make sure how much our shopping actually was. Usually ends up with me owing mum!! 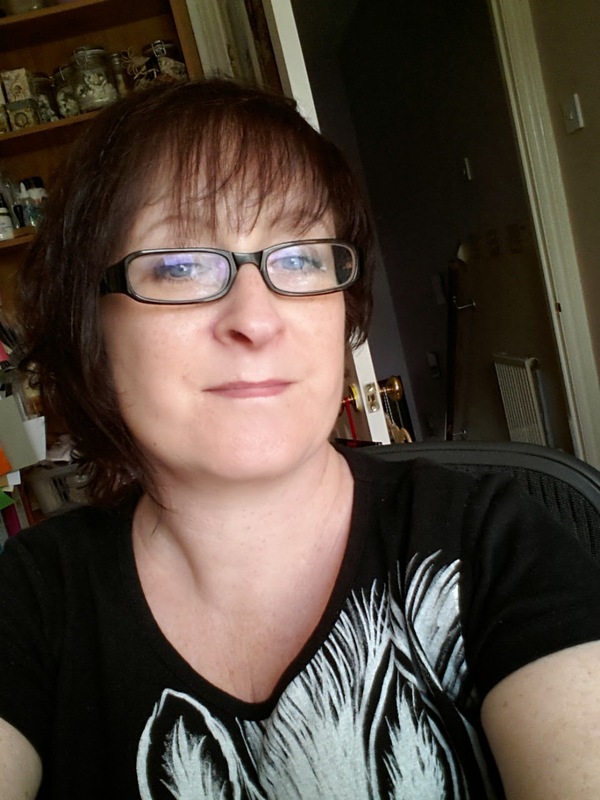 Here's me - I thought I'd do a birthday selfie!! Can't wait to see you all at the Crop, and don't forget to pop over to Julia's WOYWW post to join in today and find out more about the crop etc. Happy Birthday! Your cake looked amazingly yummy! I love your neat work desk. That marker holder is so cool. My daughter would love that! Wishing you a very Happy Birthday Zo :o) That cake looks good. We used to live not far from that Farm shop. Happy Birthday Zoe! Hope the rest of your day is lovely - see you at the Crop! Happy happy Birthday Zoe - hope you have a fab day :-) That cake looks wicked - thanks for the lovely compliment though!! 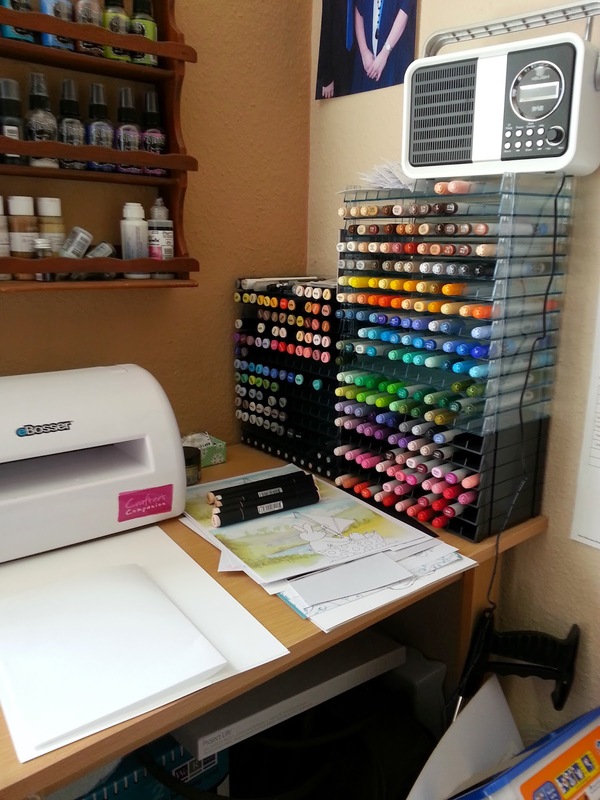 I'm impressed by your collection of markers! 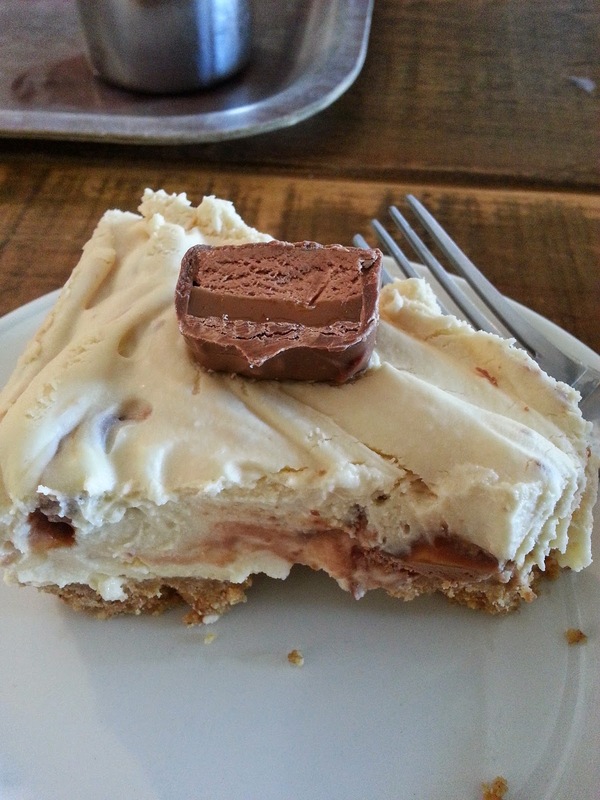 OMG mars bar cheesecake now that's something to try. Not WOYWWing this week but had to drop by and wish you a happy birthday! Great selfie, you're looking well. Happy belated birthday! I hope your year is a wonderful one! The way you started off with that dessert is pretty spectacular!